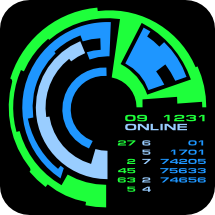 A chance find of an apparently abandoned but massive communications network provides Voyager with the unique opportunity of contacting the Alpha Quadrant. The catch (and of course there is one) is that only the Doctor's program will survive the trip and even that's not a guarantee. The Doctor finds himself on a new Federation starship, the USS Prometheus, with even more problems: Romulans. Now that I see this shot, I'm kind of surprised they didn't go for a captain's chair gag. 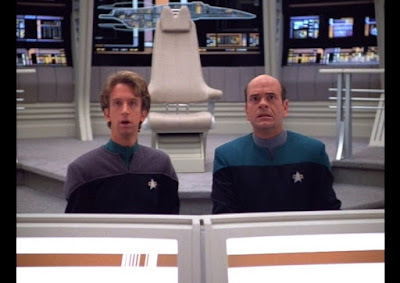 The Voyager crew begins to suffer from a sort of narcolepsy, falling asleep on the job and having trouble waking in the morning. But things take a sinister turn when they all notice the same antagonist in each of their dreams - a strange, malevolent alien. 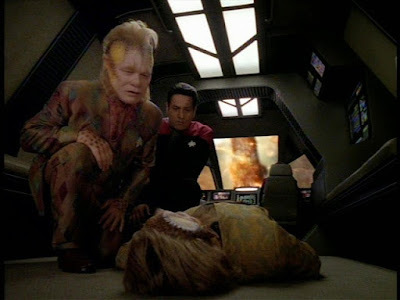 Neelix is killed in a shuttle accident, but Seven is able to revive him almost a day later. He now must deal with the consequences of realizing death was not what he expected it would be. 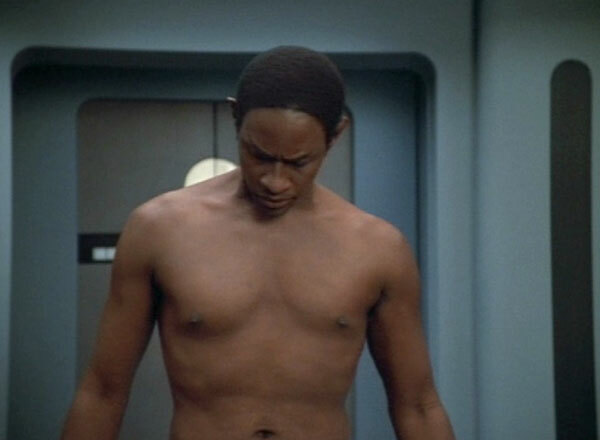 That uncomfortable moment when you realize what fans have been doing with your likeness in the holodeck. When dozens of Voyager's key systems are stolen by an arms dealer, Janeway enlists the help of a most unlikely collaborator - Leonardo DaVinci. 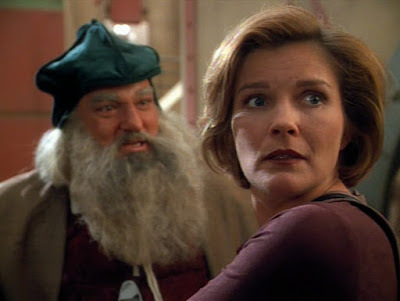 Also, Janeway settles into her good hair phase.